Opinion Piece: Why The DMV Area Is One of America’s Most Promising Musical Breeding Grounds. The Washington metropolitan area, comprised of Washington, D.C., parts of Maryland and Virginia – hence the name “DMV” – is on the come-up. And it’s exciting new fixtures in the scene like local record label Fête Records who are heading up this cultural uprising. Surrounded by musical powerhouses in almost every direction, including the likes of New York, Atlanta, Chicago, and Nashville, the area is in many ways slept on. The District of Columbia in particular is synonymous with politics, bureaucracy and rules – perhaps the antithesis to creative art. But as the minidoc DMV – a collaborative short film effort between Fête and London-based label Noble People – unearths, there’s another side to the region that is thriving culturally, and is full of potential and youthful vigour. It’s a longer watch at just over 20 minutes, but DMV is utterly compelling and shines a light on one of the most promising rap scenes in America. And while the video focuses on the region’s rap scene specifically, the DMV’s music scene more broadly has a lot to be excited about. Following in Wale’s footsteps, rising stars Logic, and more recently, GoldLink, seem poised to be the next rappers from the DMV to break into the mainstream. But Kali Uchis could just as easily do the same in the realm of R&B, and there are several other up-and-comers each doing awesome things in their own lanes – soulful duo Abhi//Dijon, and young producer Shisto would be just a few examples. From an area that has produced the likes of Timbaland, Pharrell, Missy Elliott, and more, it does seem as though it’s just a matter of time before things start to take off. 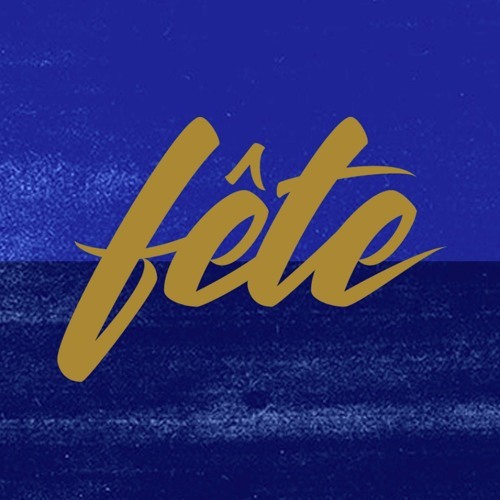 In the SoundCloud scene, it’s Fête leading the charge with their soul-meets-electronica soundscape. Their releases run the gamut of R&B, Electronic, and Funk, and the label is in many ways bridging the gap between the underground beats scene and widespread tastes for vocal-driven work. Abhimanyu and Robert, co-founders and co-owners of the label, have selected a roster of artists that is as diverse as it is complementary, making for something truly special. Above all else, DMV depicts a community, and a fast-growing one at that. it’s one of creators/creatives and collectives, one of experimentation and of energy – an energy that makes the area fascinating to watch.